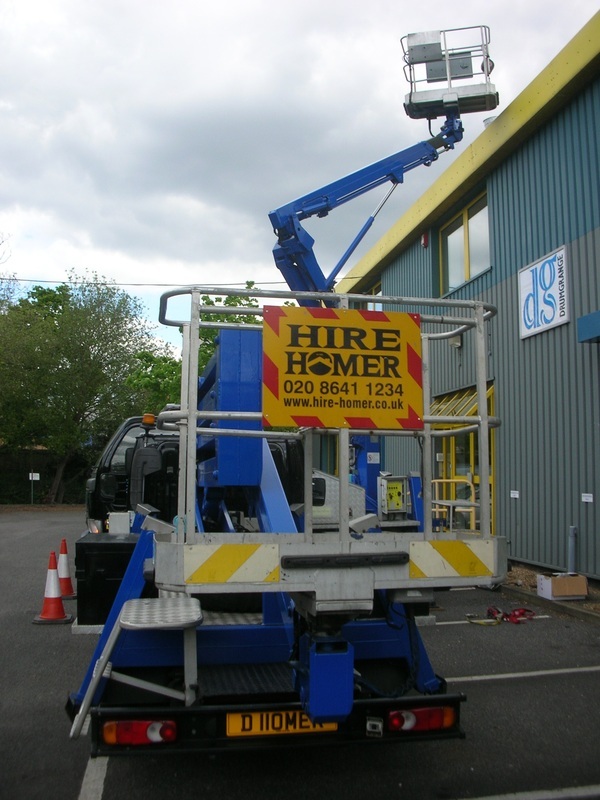 CHERRY PICKER HIRE - Homer-Hire - Access Made Simple! Access Hire in South-London & Surrey... When working at height, ladders can prove dangerous and not ideal for the job in hand, while scaffolding can be an expensive alternative, towers are time-consuming to erect. Hazards can then inevitably lead to accidents, or failure to effectively complete the job in hand. 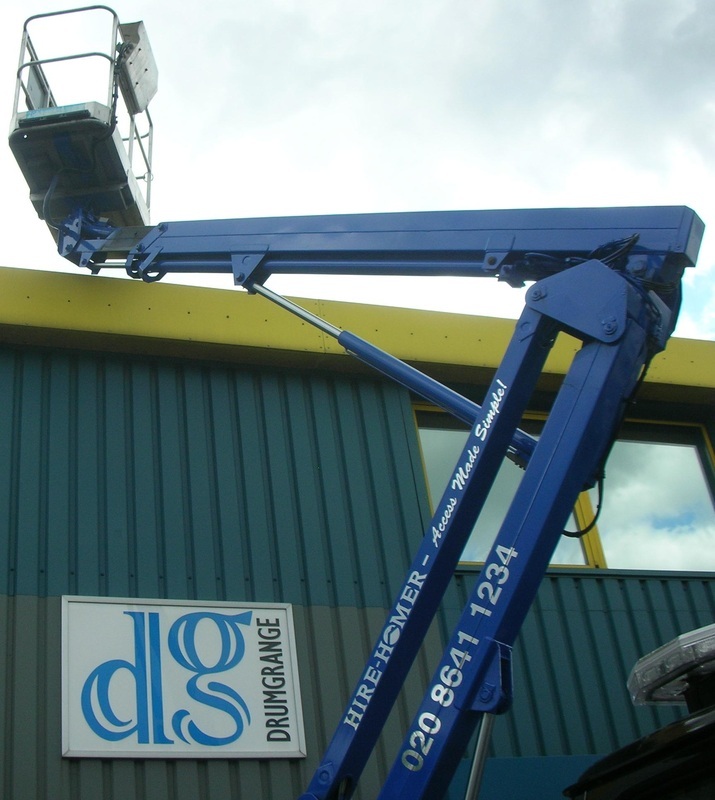 If you have a job that requires working at height then Hire-Homer’s operated cherry-picker service is the safest, quickest and most cost-effective option for you. Our IPAF licensed operators have a wealth of experience in a wide range of access jobs and are fully trained to the current health and safety regulations. For maximum versatility and manoeuvrability, the truck mounted access platform is well suited to a range of tasks, especially when working on construction sites where space and access can be restricted or when you need to go up and over nearby obstacles. Ariel Platforms are also ideal for jobs in highly congested areas, for example supermarket car parks or even large warehouses.